Fortress Of Freedom Board :: View topic - The Album "Flow With Me" by Gritz Is Released! 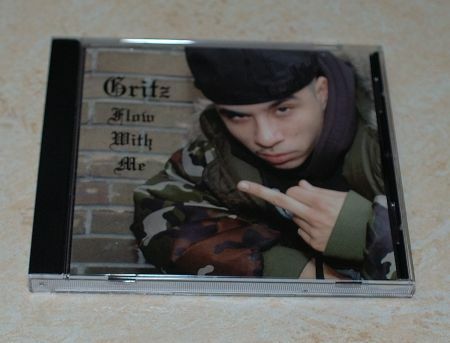 The Album "Flow With Me" by Gritz Is Released! 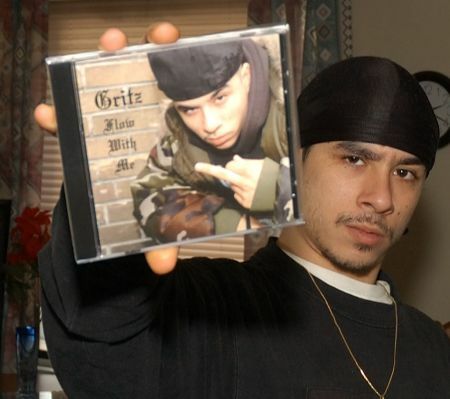 Posted: Sat Jan 13, 2007 7:36 pm Post subject: The Album "Flow With Me" by Gritz Is Released! 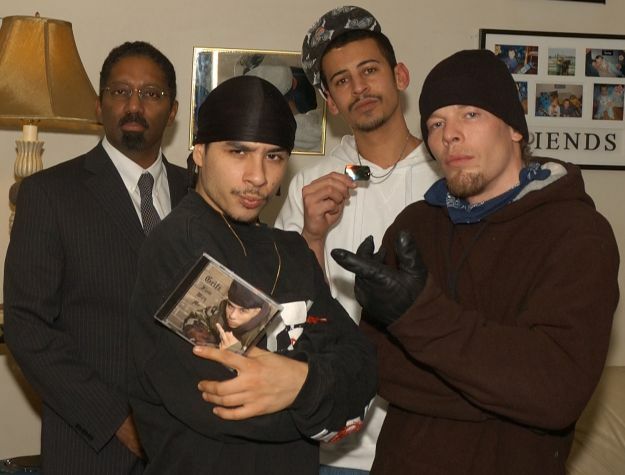 By Shane Murphy, Artist Relations Manager: Urban Music, FOF Inc.
(Left to right) Maurice Ali (President and CEO: FOF Inc./IAIJ Inc.), Jon Chuck (Gritz), Devon Jansen (Swurv Productions), Shane Murphy (A/R FOF Inc.). 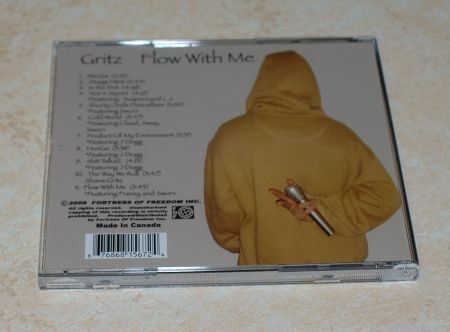 The Fortress Of Freedom Corporation is excited to announce that Gritz's album "Flow With Me" was released today! The eleven track album was principally a collaboration of many such as Devon Jansen (Swurv) who provided many of the beats and studio production, Jason Armstrong (J Dogg) with lyrics and vocals, Jon Chuck the artist in question and myself, Shane Murphy with vocals and may other duties along with others who are credited on the album cover. 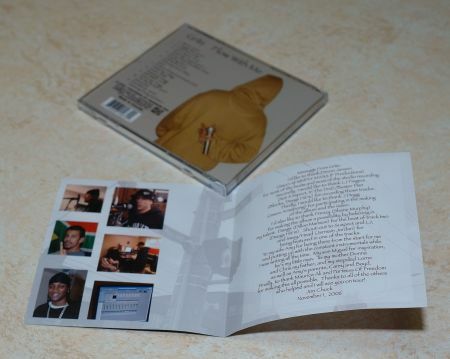 We at Fortress Of Freedom thank all who participated in the making of this album. Congratulations Gritz on the production of your first album from all of us here at Fortress Of Freedom! Maurice Ali congratulating Shane Murphy on his appointment as A/R for urban music! Shane Murphy presenting Gritz with the first production CD of his album!